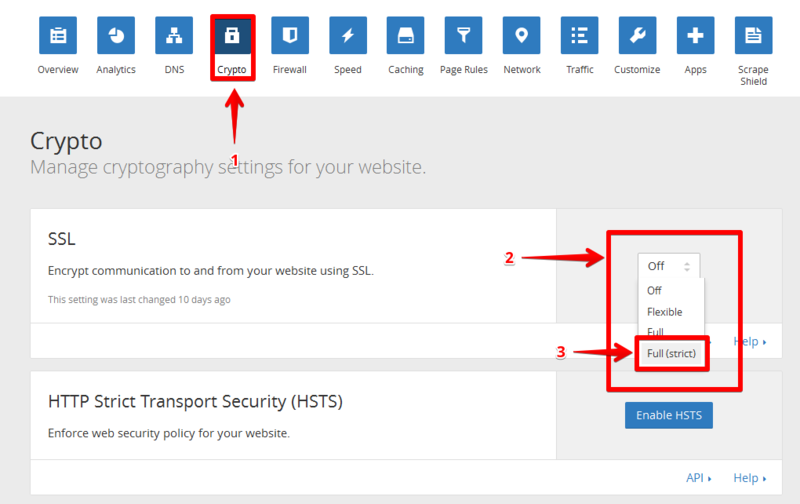 I want my website enabled with Let's Encrypt - how do I do that? What the different modes are for? SSL Disabled: There is no secure connection between your visitor and CloudFlare and no secure connection between CloudFlare and your web server either. Flexible SSL: There is a secure connection between your visitor and CloudFlare but no secure connection between CloudFlare and your web server. Full SSL: There is a secure connection between your visitor and CloudFlare and a secure connection (but not authenticated) between CloudFlare and your web server. Full SSL (Strict): There is a secure connection between the visitor and CloudFlare as well as a secure and authenticated connection between CloudFlare and your web server. Do you want a faster website? We have a special article for you here.